We all know YouTube very well. They are providing amazing video streaming website. But, there’s no simple way to save YouTube videos to the device. Even their offline video feature is limited to YouTube app only. Also, you can’t simply extract audio from video on YouTube unless you read this article. YouTube is indeed the best website to stream videos online. There are thousands of creators on YouTube uploading videos on daily basis. All the famous singers and artists do have a YouTube channel where all their hits are uploaded and you can stream them for free. Creators are using many ways to make money from YouTube and YouTube is indeed best platform to monetize video content. But, what if you want to save those songs on your device in MP3 audio format! YouTube doesn’t provide any feature which allows users to save videos to the device. However, the offline feature is useful to save videos but those are limited to the YouTube app itself. Hence, we need to use a 3rd party services which cant to convert YouTube video to mp3 within few moments. There are many such services and all of them are free. But, you probably need a powerful and simple YouTube to MP3 converter which can extract audio from YouTube video in few moments. Before getting started we would like to discuss some copyright things with you. As there are many PRO artists on YouTube, uploading their precious work and stuff. Hence, YouTube doesn’t want anyone to download their videos and use it. So, there’s a feature available for the creators which helps them to decide whether video can be saved offline or not. You might have also seen in some videos on YouTube app which aren’t available for the offline viewing. Downloading such videos using the 3rd party tools is also against their TOS. Hence, it’s upon you that how you’ll use such services. We’re only helping you out by listing a simple YouTube to MP3 converter service which works great and is completely free. The very first thing we need is the YouTube to MP3 converter tool. We recommend you to use online services only. If you’re thinking of downloading an Android app or an application for your OS, then please stop. Such software/app is published by unknown sources and there’s no guarantee what they’ll be doing with your device once you’ve installed that app/software. We recommend you to use online Telecharger YouTube converter for this purpose. It’s completely free and one of the famous tools on the internet to save MP3 from YouTube video. There are some very easy steps you need to follow. We’ve explained every single step down below. Step 1. Copy the URL of YouTube video. If you’re using the Android YouTube app, click on the Share button and copy the share link. For browser users, click on URL address bar and copy the URL address. Step 2. Now, open the YouTube Converter. Step 3. In the homepage, you can clearly see an input box asking you the YouTube video URL. Step4. 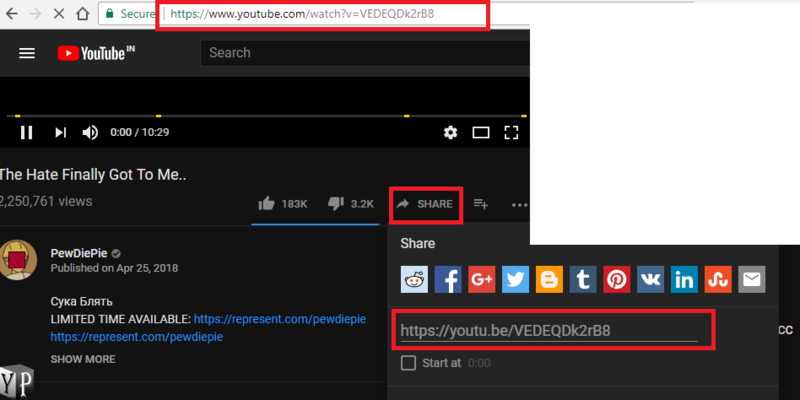 Paste the link you’ve copied in Step 1. Step 5. Click on the search button or press Enter. Step 6. On the next page, you can see the video information e.g name and duration of the video. Step 7. Click on the download icon. Step 8. Finally, you’ll get a button saying “Download Video as MP3 File”. Step 9. Click on it to start the download. Step 10. Once the download is complete, you can play the MP3 file anytime you want to. That’s it, you’ve to just follow these steps to save youtube video as MP3 in your device locally. You can play that MP3 file anytime, anywhere in the way you wants to. The service we’ve suggested is completely free and fast. Drop down your suggestions and thoughts about this article in the comment section down below.